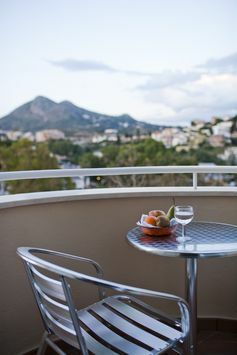 This is our on-site residence, 96-bedroom residence and is almost certainly the largest and most popular year-round, on-site, language school residence in Spain. 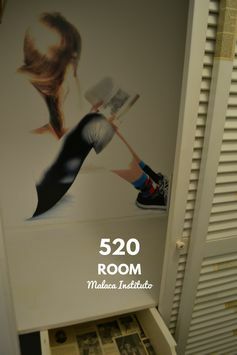 Together with the 25 classrooms, 4 terraces, swimming pool, restaurant, dance studio…….., this is one of the essential elements that helps to define the experience of studying in Malaca Instituto. About 50% of all our students, including practically all our Executive, Diplomatic and 50s+ clients, choose this accommodation. Not only does it provide comfortable accommodation at a very reasonable price, but it creates a campus which is sufficiently extensive for everyone to find their own space and enjoy it with the friends of their choosing. 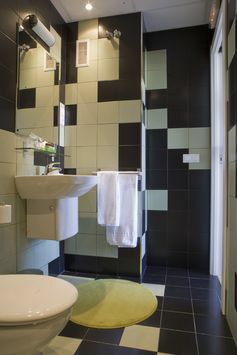 • Standard Single rooms: these are small rooms and, as such, are ideal for school and student-aged clients who value the privacy of their own room and en-suite shower and toilet, above the luxury of greater space. 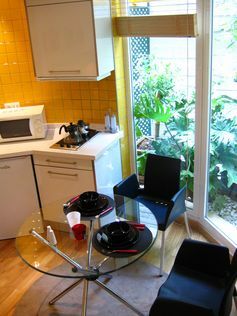 •Twin rooms: our classic room for 2 people to share you can even book half a twin and look forward to a new-found roommate. 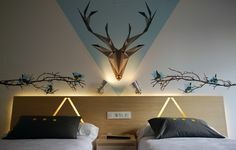 If you would like a Twin room for yourself, you can book it for single use except in the High Season. 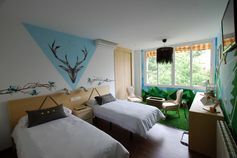 • Triple rooms: ideal for school groups or older teenagers coming with friends or wanting to share with others. 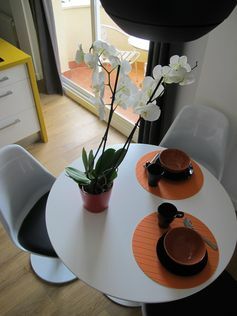 Click on any picture to see more about the rooms on Pinterest or see our Gallery below. 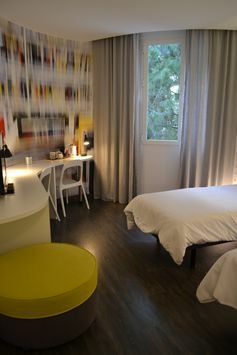 • Executive Rooms: modern or traditional furnishings, but all providing a surprisingly high level of comfort for a language school residence. For single use or sharing with your partner or friend. 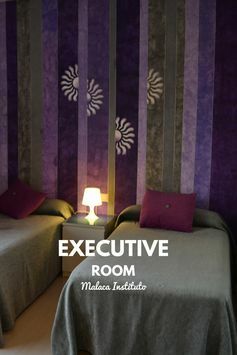 • Executive Studios: Accommodation of choice of our Executive-type clients, these are our top-of-the-range rooms, offering a much more interesting option than being isolated in a 4-star hotel! For single use or sharing with your partner or friend. Malaca Instituto invited artists from all over the world to create artworks for our students to sleep in. Our artist rooms are a collection of exceptional works. 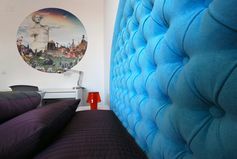 The artists transformed our rooms into a dreamland, each room is decorated in a different and exuberant manner, bringing an eclectic and innovative look to our 5Th floor. To know more about Flow & Art Project, download our brochure. 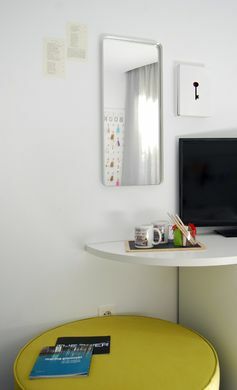 Nos encantan los pequeños detalles de la Habitación Picnic de la artista Joplin Nosurname. 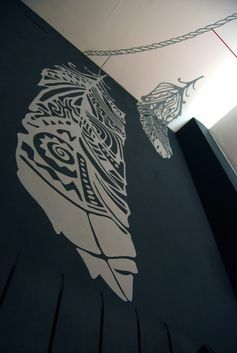 Pasar una noche en una auténtica obra de arte cuesta muy poco en Malaca Instituto. Marina Giannobi "encerrada en el armario" de su obra de arte, la habitación 520, no te dejará indiferente. 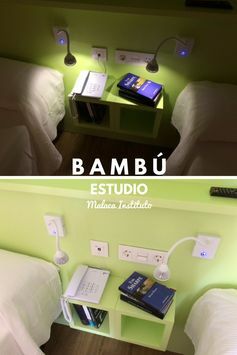 Una de las habitaciones ejecutivas de Malaca Instituto, escuela de español. Malaca Instituto y Flow & Art. 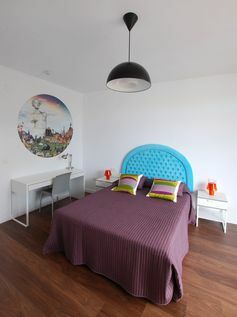 Habitación 520 de la artista Marina Giannobi. Buganvilla es uno de los nuevos estudios con cocina de Malaca Instituto, uno de los favoritos de los estudiantes. Nuestras habitaciones individuales recién renovadas. Nuestro recién estrenado estudio Bambú, realizado por Manuel Poza, arquitecto técnico de Malaca Instituto, responsable de las obras y reformas de nuestra escuela de español. 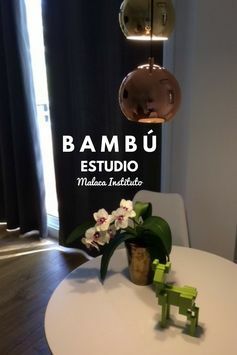 En nuestro estudio Bambú, todo está pensado para tú comodidad. Everything is green at Bambú Studio, Green is cool, we love green. 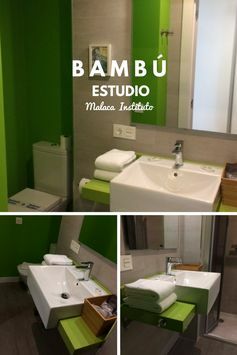 Bambú cuenta con cocina, totalmente equipada, como todos los estudios de Malaca Instituto, escuela de español. 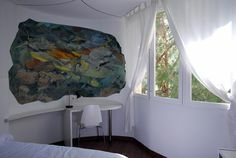 Artist room at Malaca Instituto, Spanish School. Artist room by Leo Peralta. Spanish School. Malaca Instituto. Student rooms. Spanish School. Malaca Instituto. 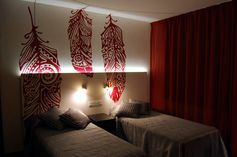 African room by Tartu Group. Spanish School. Malaca Instituto. 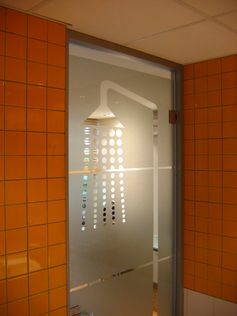 Bathroom door in executive studio. Spanish school. Artist room by Adam Grose, British artist. Malaca Instituto. Artist room. Joplin Nosurname. Flow & Art Project. Artist room. Guest book by Marina Giannobi. Sight from the terrace. 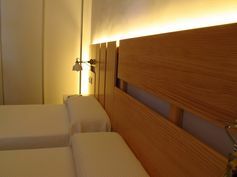 Executive room. 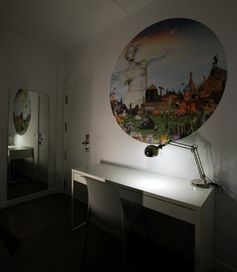 Artist room. Malaca Instituto. Artist: Marina Giannobi. 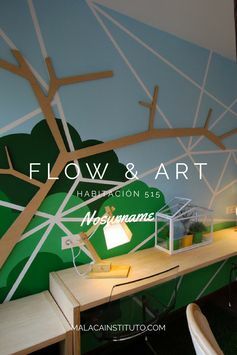 Flow & Art project.